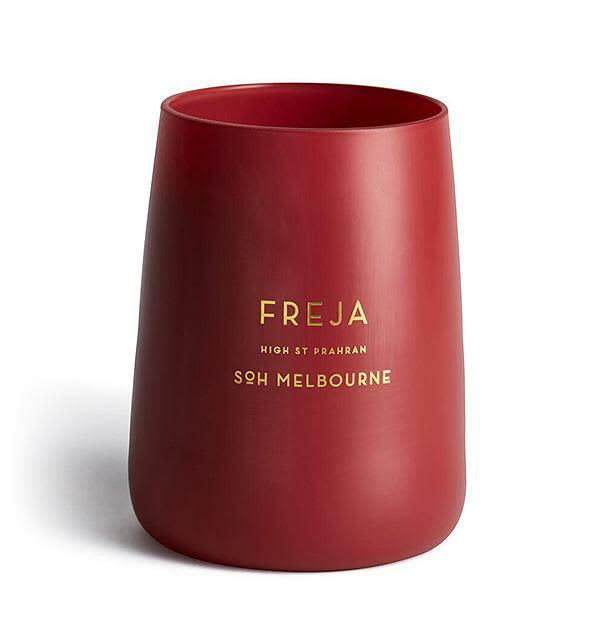 Freja Scented Candle - Red Matte Glass. Not your ordinary Jasmine, this fragrance is modern, bright & beautiful. With an emphasis on beautiful. The name ‘Freja’ as embodies femininity and strength all in one word.